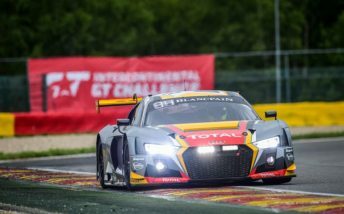 Belgian Audi squad Team WRT has named drivers for a Pro class and a Pro/Am car for February’s Liqui-Moly Bathurst 12 Hour. Audi factory drivers Robin Frijns, Stuart Leonard, and Dries Vanthoor will share the former Audi R8 LMS. Paul Dalla Lana, Pedro Lamy, and Mathias Lauda team up in the latter. It will be the first time that the squad, which will race as Audi Sport Team WRT, will tackle Australia’s international GT race. “The Bathurst 12 Hour will be new to us,” said WRT Team Principal Vincent Vosse. “It’s a very long journey from our home base, but we are really excited to discover this prestigious race and a track which fascinates both drivers and fans. “It can only be compared to the old Spa-Francorchamps and the Nürburgring’s Nordschleife. Frijns drove an Audi for Jamec Pem Racing in this year’s edition of the Bathurst 12 Hour, though the car made an early exit when Frank Stippler hit a wall before sunrise. He and Leonard won this year’s Blancpain GT Series Sprint Cup. Dalla Lana, Lamy, and Lauda shared an HTP Mercedes-AMG GT3 with Bernd Schneider in the most recent Bathurst 12 Hour, the quartet notching up 263 laps but failing to finish. The 2018 Bathurst 12 Hour takes place on February 2-4.